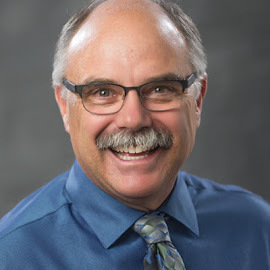 The Minnesota Chiefs of Police Association (MCPA) is hosting two workshops for city officials. This training will provide city managers, administrators, and councilmembers a better understanding of police departments and their 21st century challenges—especially since law enforcement has come under such public scrutiny. 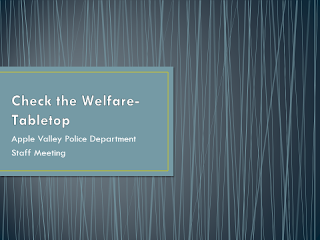 Each 6-hour session will cover use-of-force issues, dissemination of public information, training priorities, setting expectations, and a communications plan to facilitate a more cohesive chief-administration relationship. While the content will be geared toward city leaders, police chiefs are welcome and encouraged to attend this training to assist in building a common community law enforcement vision using a global view of where a police department fits into the overall city structure. 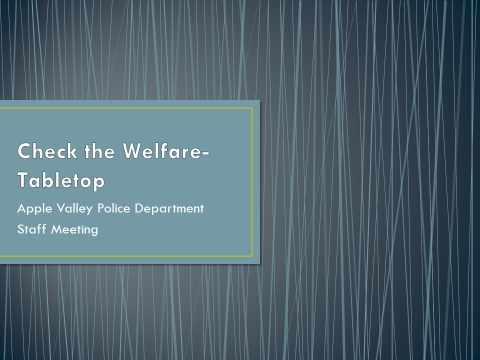 The Apple Valley Police Department (AVPD) asked if I wanted to observe their tabletop exercise for a “Check the Welfare” call. At a tabletop exercise, participants talk and think through how they would handle a problem while sitting around a table. It’s a safe and often synergistic process for planning a response. Two AVPD squads are dispatched to the residence to check the welfare. Some of the initial thoughts were: get a supervisor on the way, obtain more accurate information, and determine if anyone else is with the man. One supervisor said he would assign an officer to track down the original caller and not rely on the limited information that comes through the dispatcher. Another said he would bring in additional officers depending on who was working, such as officers who have had additional training in crisis intervention or negotiations. As the call got more complex, they discussed not wanting to push the call into a situation where they would have to use force. They also reviewed applicable state statutes. The first officer arrives on scene and reports the male’s vehicle is in the driveway. There is fresh snowfall, and tracks indicate the vehicle arrived within the last couple of hours. One of the officers speaks to the complainant on the phone and learns she is on her way home and will be there in 5 minutes. What immediate options do the officers have? Where should they be standing by? As they concluded the exercise, they talked about ways they could improve their response and were looking to additional programs and training they could evaluate. They planned to replicate the exercise with all of their officers at upcoming training sessions. I thank Chief Jon Rechtzigel and Captain Nick Francis for allowing me to attend.